Center Step Card - JUGS 115 | Work in Progress. 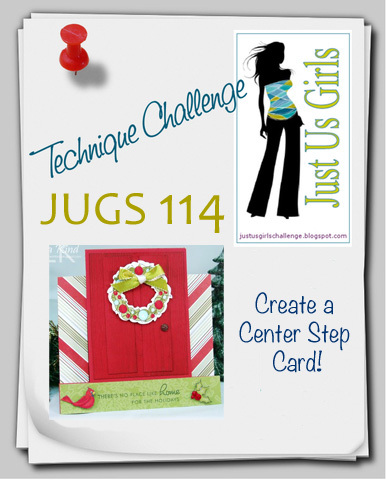 Time for another Just Us Girls challenge! 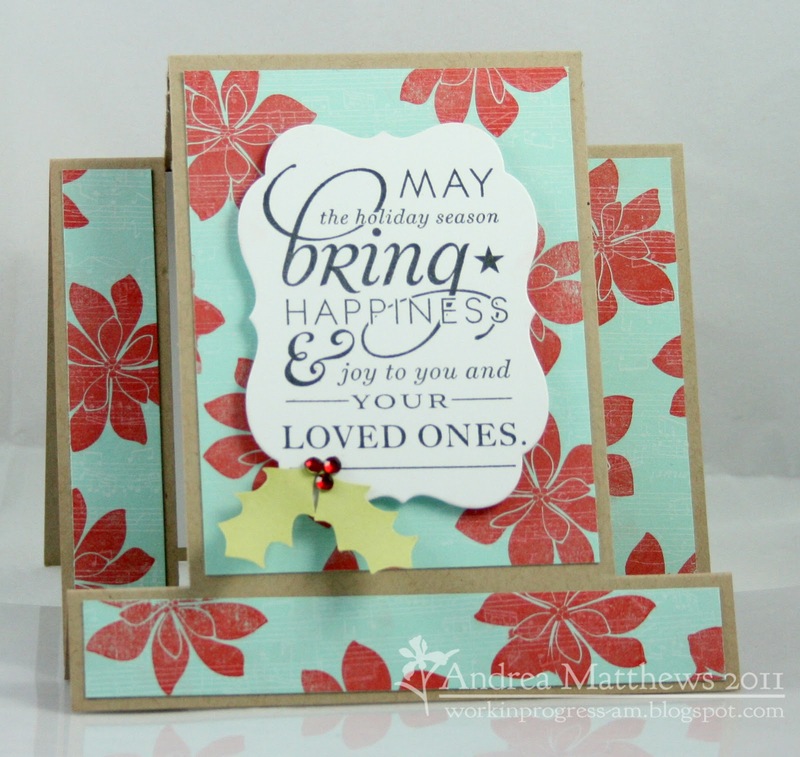 Sweet Kathryn is our hostess this week and she's piquing your crafty interest with a twist on card design! 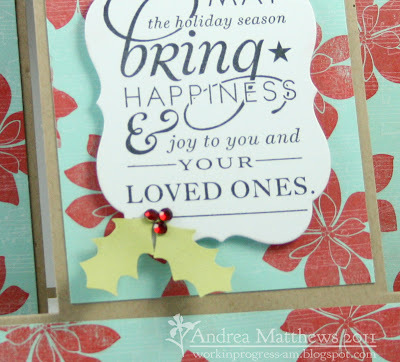 Yes indeed, this was the first time I'd made a step card and honestly, I was a little intimidated by this one. But it was super easy! And fun to decorate! 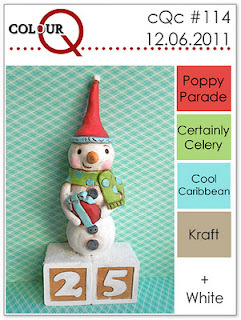 Posted in aqua, center step card, green, JUGS DT, kraft, red . Bookmark the permalink. RSS feed for this post.